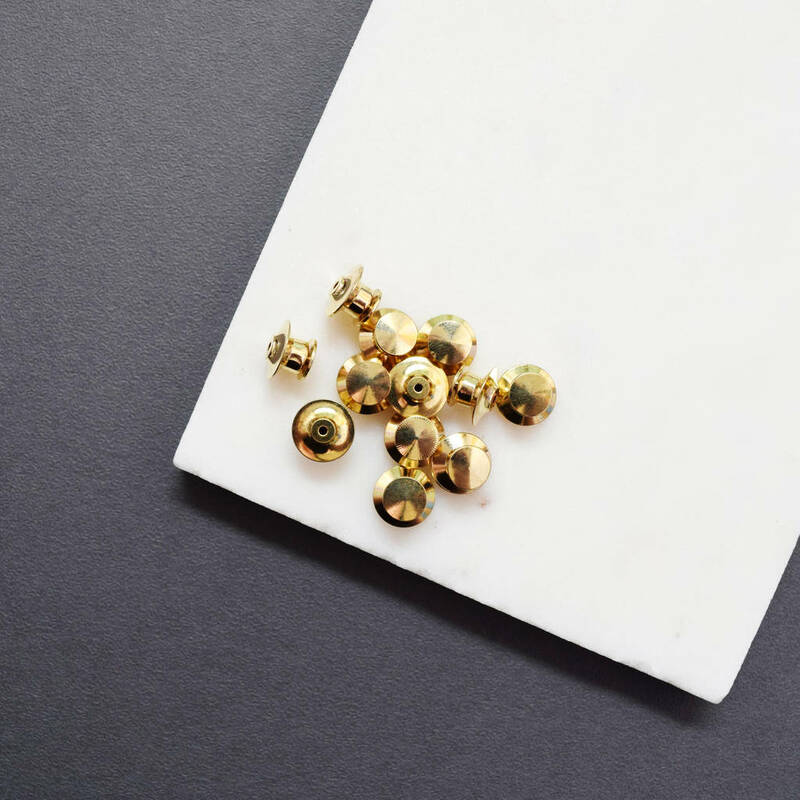 if you opted for a personalised name, type name below ensuring spelling is correct. 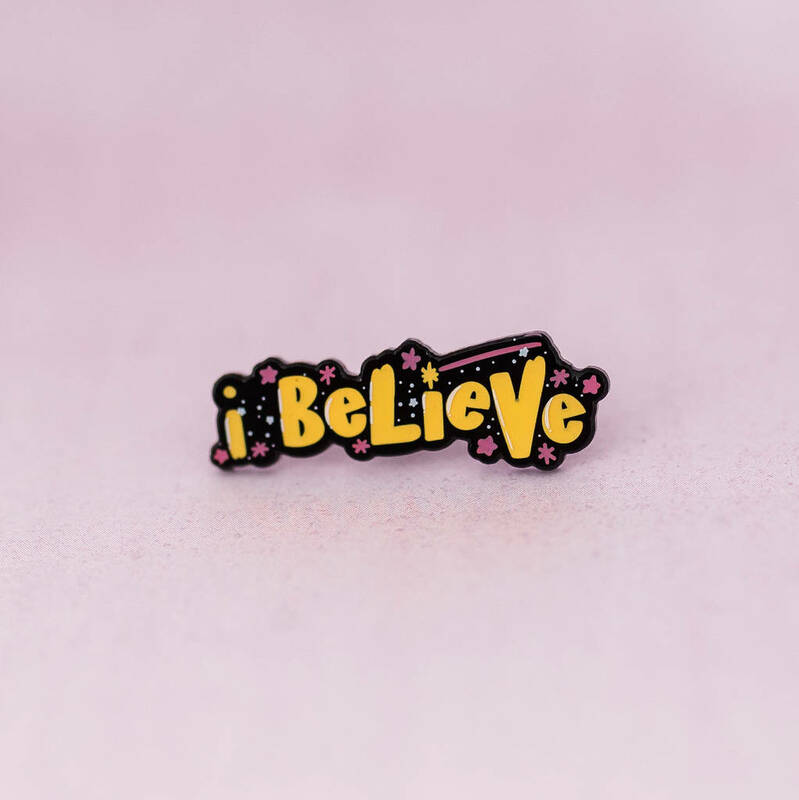 A magical little magical enamel pin badge carefully crafted in soft enamel. 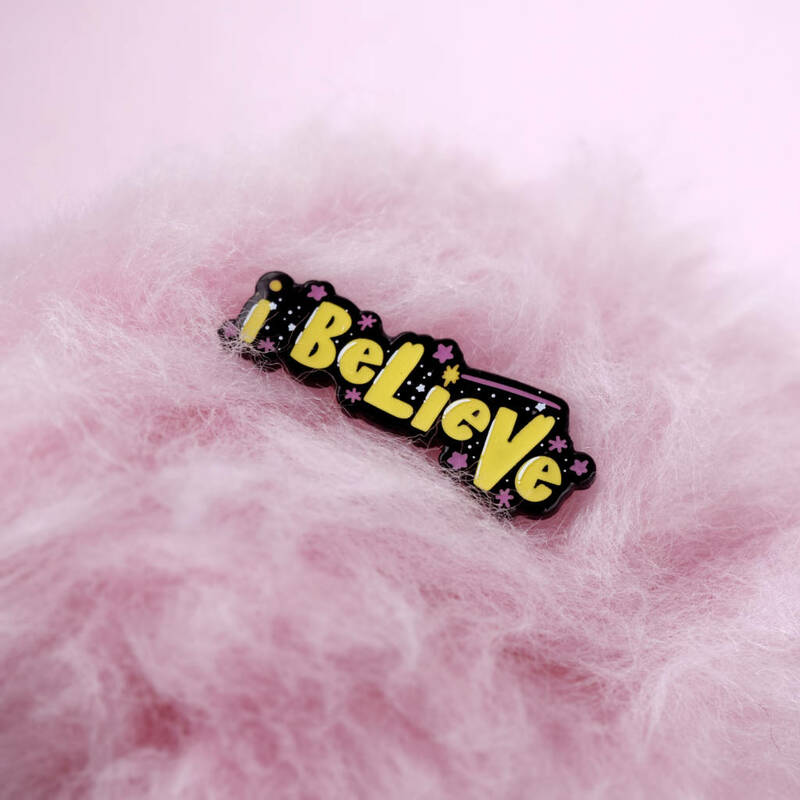 This enchanting badge features the words 'i believe' compete with tenny tiny white screen printed details and coloured in beautiful enamels. This lapel pin measures approx 30mm in size. 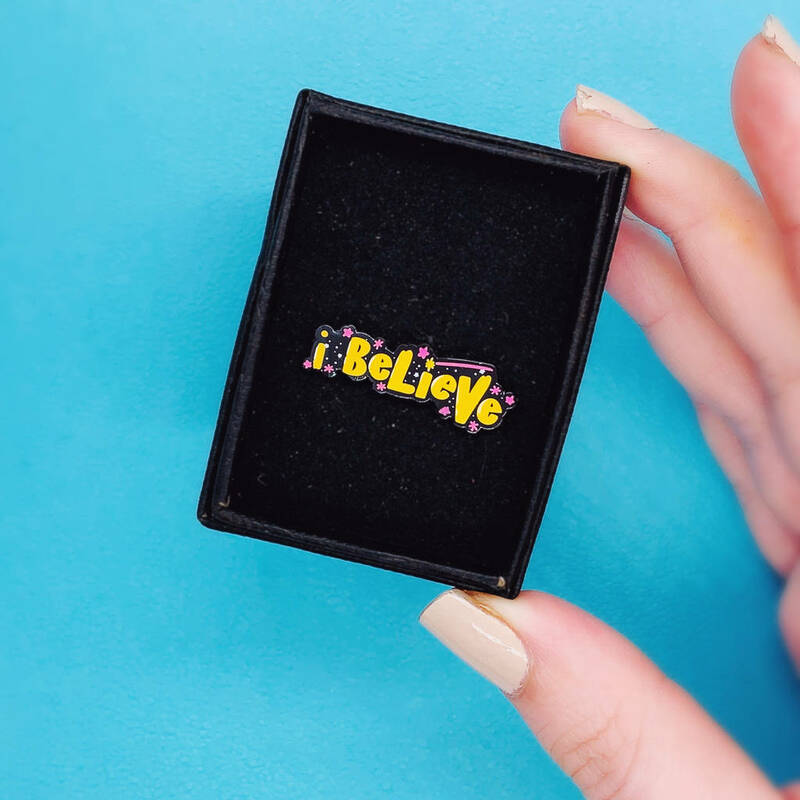 Our beautiful pin is made in durable nikel metal which fastens with a sucure locking back and comes packaged in a little gift box. 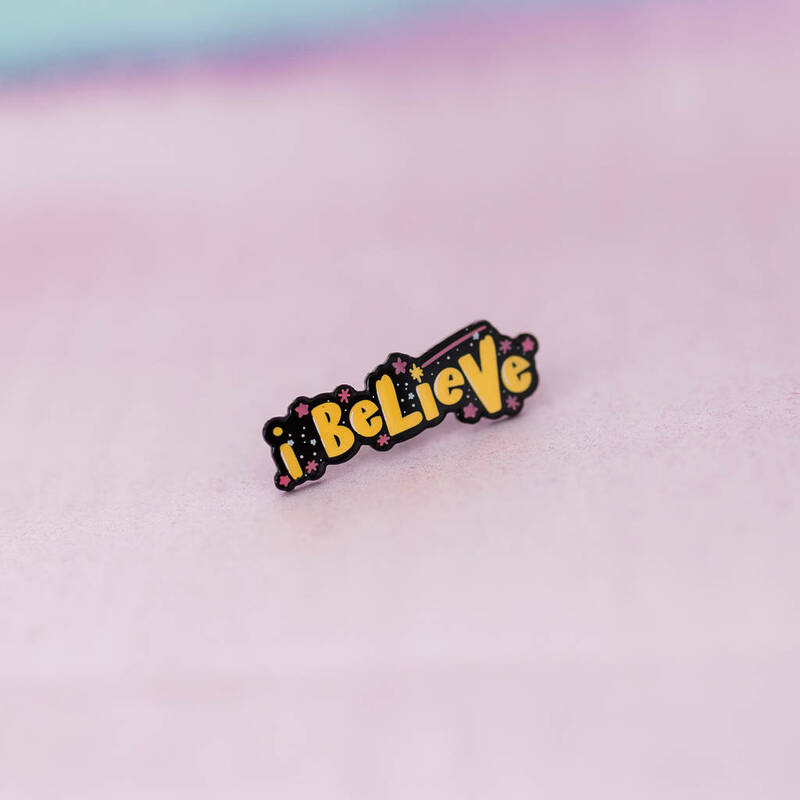 Our little i believe design began life as a little doodle on our computer! 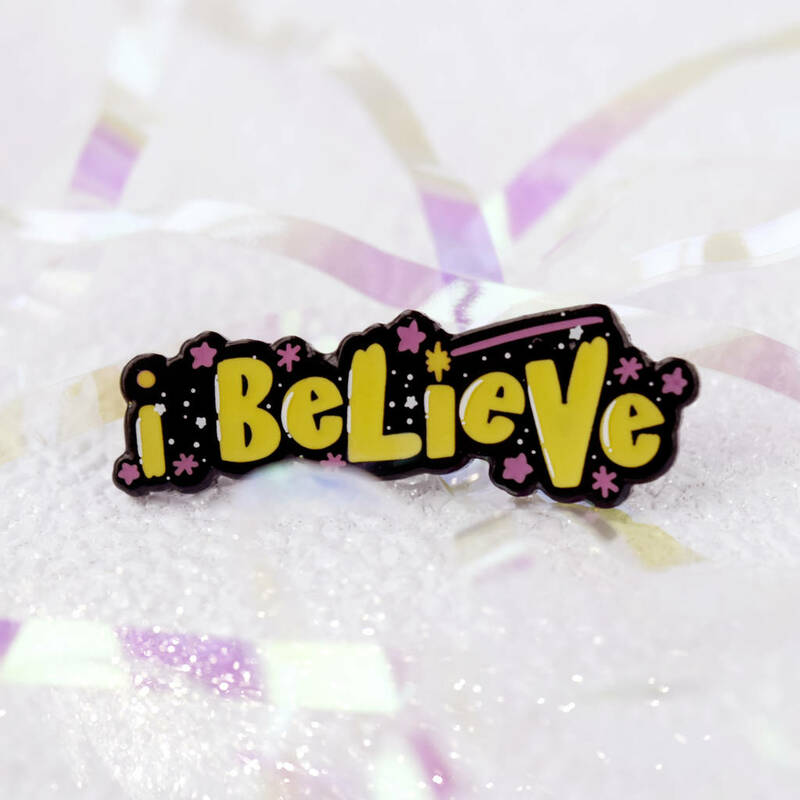 It has since been digitally coloured and transformed into a fun brooch for your pin collection.